Shop MIFAB replacement parts at Chicagofaucetshoppe.com today! 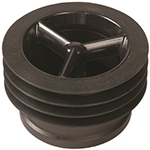 Shop our selection of MIFAB Floor Drain Trap Seals today! Shop our selection of MIFAB Hydrant Parts today! Shop our selection of MIFAB Replacement Silicon Sealing Flappers today!